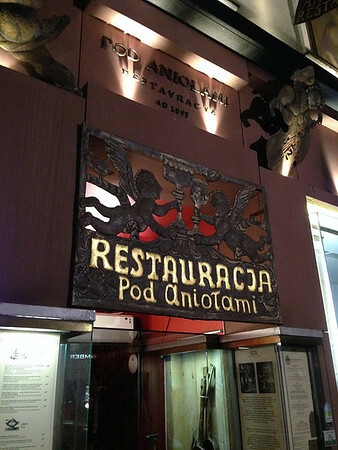 Good food and a dramatic interior make Pod Aniołami worth consideration, although it is perhaps a little overpriced. This mid-range restaurant is perhaps a little overpriced but is still worth consideration. The Polish and Eastern European dishes, such as wild boar steak served in juniper, are served without decorative fuss and the management has the genuine intention to please. What makes the meal, however, is the location, a dramatic, fairytale cellar in Ulica Grodzka.